The big picture: People, especially younger generations, are really into co-consumption. It's not a stretch to see how a feature like this could be a big hit on Facebook... and even more so on a platform like Netflix or Spotify. Facebook’s Watch Party on Wednesday graduated from experimental status to full-on feature. Introduced in limited testing early this year, the shared video experience allows members of a group to watch videos together in real time. Once a Watch Party is started, participants can take in live or recorded videos and communicate with one another via chat. Facebook product manager Erin Connolly said that in testing, they’ve seen Watch Party users generate hundreds or even thousands of comments during a session. The new feature, now rolling out globally to all Facebook groups, is launching with two new features. Co-hosting allows a host to designate co-hosts who can add videos and keep a party going while the crowdsourcing feature lets anyone in a party suggest videos for the host to add to the queue. Watch Parties could be particularly useful for hosting Q&A sessions around hobbies like cooking or crafting or simply serving as a meeting place for friends or distant family members to watch funny videos together. That said, it seems more fitting for smaller groups as anyone that has ever seen a chat room on a live YouTube video can attest to, things can be quite chaotic with hundreds or thousands of people chiming in at once. 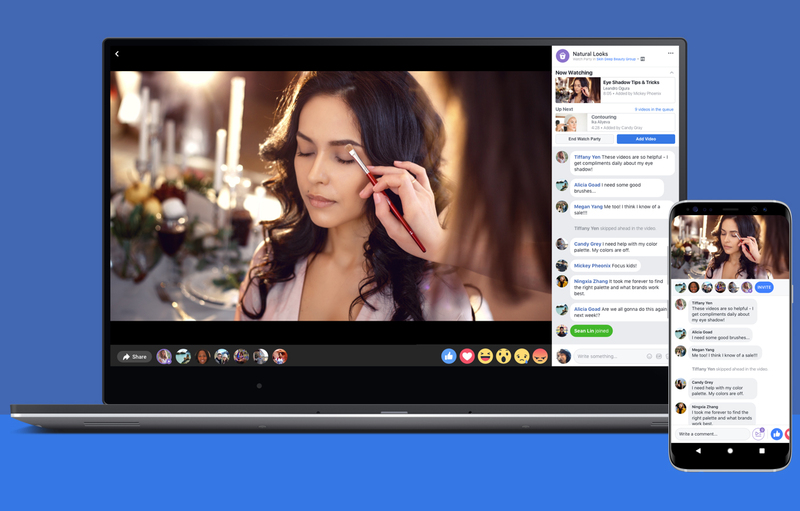 The social network is also testing the ability for people to start Watch Parties with friends outside of groups and exploring the possibility of adding the feature to Pages.